Current representative: The current representative for the 70th District is Rep. James Lower (R-Cedar Lake). The district features Montcalm County and portions of Gratiot County, including the cities of Alma and St. Louis. Lower was first elected to the Michigan House in 2016, taking office in 2017. 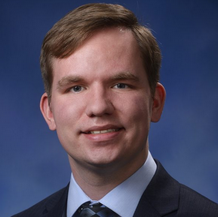 According to his official House biography, Lower worked as executive director for a consulting firm and was also a legislative assistant in both the Michigan House and Michigan Senate. A map of the 70th District is available here. Rep. Lower raises money through a candidate committee, The Committee to Elect James Lower. He is also connected to a leadership PAC, Central Michigan Conservative Leadership, which launched in June 2017.